.Gaby Castro is a San Francisco Bay Area-based singer-songwriter, instrumentalist, model, actress, and activist. She has released three studio albums of original music, performed nationally and internationally including in Minneapolis, San Francisco, San Jose, Nashville; Antigua, Guatemala; and Sydney, Australia; worked as a songwriting mentor at a non-profit, and been a regional semi-finalist in one of the biggest battle of the bands in the world Hard Rock Rising. Her musical beginnings stemmed from middle school choir and a guitar gifted by her parents on her thirteenth birthday. Her influences include 60s/70s songwriters (Joan Baez, Joni Mitchell), 80s rockers (Rod Stewart), and contemporary artists (Jewel, Hunter Hayes, James Bay). Gaby plays guitar, piano/keyboards, ukulele, mandolin, and hand percussion. She has studied contemporary voice under Angela Arana since July 2009, and holds a Bachelor of Music in Composition- Songwriting and a Minor in Music Business from McNally Smith College of Music in St. Paul, Minnesota. Her next educational endeavor begins September 2018 through Berklee College of Music and Berklee Online's Master of Arts in Music Business program. In 2011 and 2012, Gaby released two albums, Free Spirit and Made to Dream. 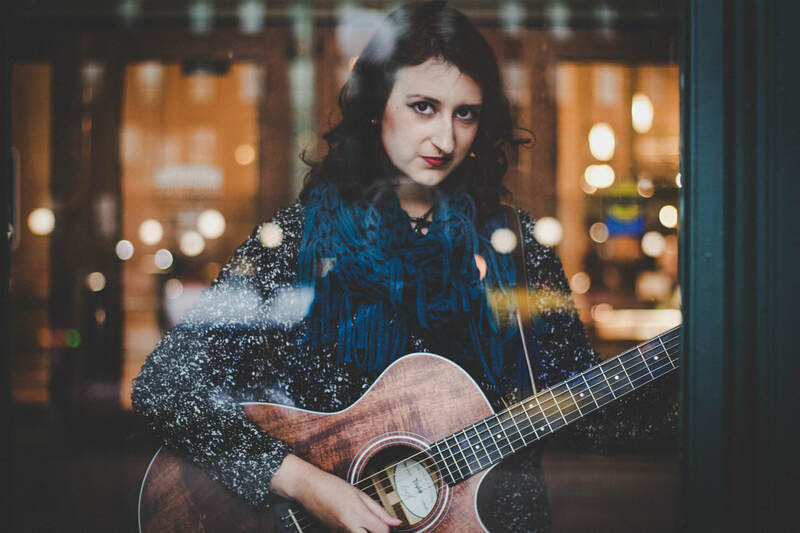 Her songwriting combines introspective songwriting reminiscent of Carole King and Joan Baez with the contemporary style of Taylor Swift and Kacey Musgraves. She began recording her third studio album, Love Always, with Grammy-nominated artist and producer Robert Berry in July 2014 and released it worldwide on October 9th, 2015. Her upcoming projects include an EP entitled La Guerrera EP//The Warrior EP, coming early 2019, and her next full-length album, Foundations & Destinations. Strongly an advocate for mental illness awareness, Gaby often writes songs that touch on her personal struggles and the struggles of those around her. She hopes as a songwriter and musician to create a positive change regarding the way mental illness is treated in today’s society by initiating conversations on the difficult topic. Gaby came back to her native Bay Area in early 2017, where she is continuing to perform around the West Coast and beyond. A strumming songbird of the 21st century, Gaby has made a name for herself in the San Francisco Bay Area and Twin Cities.